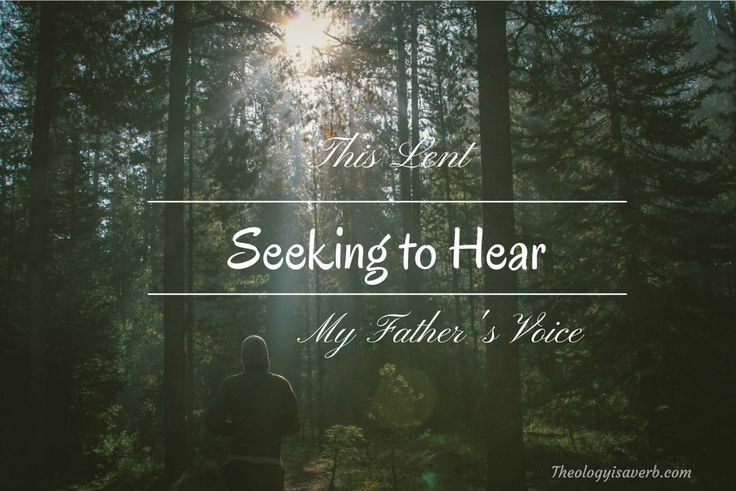 This Lent: Can I hear my Father’s Voice? With the approach of Lent, I have been giving much thought to our journey of faith as a community, the lifelong invitation of dying to self and accepting a life transformed. The most striking reality is that Jesus also underwent this ongoing transformation of mind, heart, and action (metanoia) in becoming more and more who he was intended to be. We know that Jesus spent countless hours in prayer, and this was time spent in getting to know Abba more intimately, reconnecting with the Spirit, and redirecting his life towards infinite love. In doing so, he could see beyond himself to the poor, oppressed, and those in need of healing. Consciously he then answered God’s call to make a transformation not only within himself but in the world. Even so, Lent gives us a period of time to reflect on our own desires, to surrender ourselves, and better discern where and who God is calling us to be. Do you feel a spiritual dryness in prayer? Is your day consumed with a laundry list of essential to-do’s with your energy and time in short supply? Like Jesus, we need this time with God to hear and become familiar with the voice of our loving Father. So, in this way, I invite you to consider carving out quiet time and space this Lent to do just that. It needn’t be vast, but a committed time each day just to sit, “be still and know that He is God”. Pay attention to the stillness, to the absence of your voice, and the freedom found in just being present with God. Feel the Holy Spirit’s constant reminder of life in every breath you take.